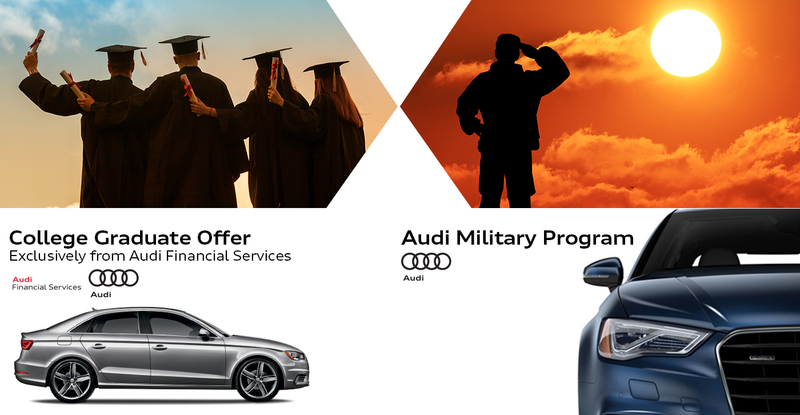 If you are a recent college graduate, you may be eligible to purchase a new Audi vehicle through our College Graduate Program which is designed to help you purchase new Audi models through retail financing, premier purchase and leasing. Additionally, you can purchase Audi Certified Pre-Owned vehicles through retail financing. This program does not require a credit history or a co-signer and offers competitive rates to those who qualify. See your local Audi dealer for more information. International AutoSource offers the ability to purchase, finance or lease an Audi vehicle before you arrive in the United States. Enjoy exclusive pricing on all Audi models with the ability to special order your Audi to your exact specifications. Vehicles are available for convenient delivery at a local authorized stateside dealer. Our experienced consultants provide you with outstanding service, and value, while guiding you throughout the entire process to make your transition as seamless as possible.